The first step towards making good decisions is simply to stop making bad ones. The same principle can be applied to developing business strategies. In order to stop following bad strategies, you must recognize the absence of good strategies. Richard Rumelt gives a great example of how to define a good strategy. He states that a good strategy has “coherence, coordinating actions, policies, and resources so as to accomplish an important end.” (Rumelt, 2011, p.11). 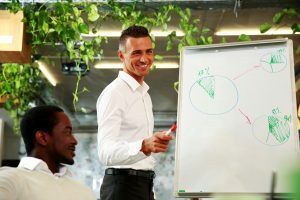 Fortunately, business has provided countless examples of good and bad strategies that provide unofficial guidelines for the do’s and don’ts of strategy making. The following are examples of tools and methods that any company can use to identify, build, and sustain good strategy development. Richard Rumelt says that every good strategy has at its core, a kernel, or solidifying structure that supports its required actions. Every kernel should consist of a diagnosis, a guiding policy, and a set of coherent actions to make the strategy successful and sustainable. The diagnosis defines a challenge and should seek to simplify the complex reality of a situation by identifying “certain aspects as critical” (Rumelt, 2011, p.77). The next component is the guiding policy which is an approach to overcoming the critical challenges or obstacles identified by the diagnosis. The coherent actions are the plans established to coordinate organizational efforts to follow the guiding policy. To help identify, establish, and achieve these aspects of a strategy’s “kernel”, it requires a great deal of input from multiple perspectives. There is unavoidable friction and conflict that arises when multiple perspectives and frames of references are synthesized. Conflict can be used to stimulate debate and innovation which is what is needed to help identify the core issues (i.e. determine the diagnosis), and to create a viable comprehensive plan of action (i.e. create a guiding policy) that can be coordinated and carried out across multiple organizational levels (i.e., implement coherent actions). This stimulated debate is one of the important benefits of brainstorming. Good conflict that arises from brainstorming sessions can be used to form a strong diagnosis of the company’s current strategic position in a market or industry (Price, 2017). The question then becomes, how can a strong diagnosis be formed using multiple, and often conflicting, perspectives? Using the Eisenhower Matrix would be a very helpful tool to help identify and prioritize which decisions should be made. The following diagram is the Eisenhower Matrix that can be applied to any decision-making or resource management situation to prioritize issues. 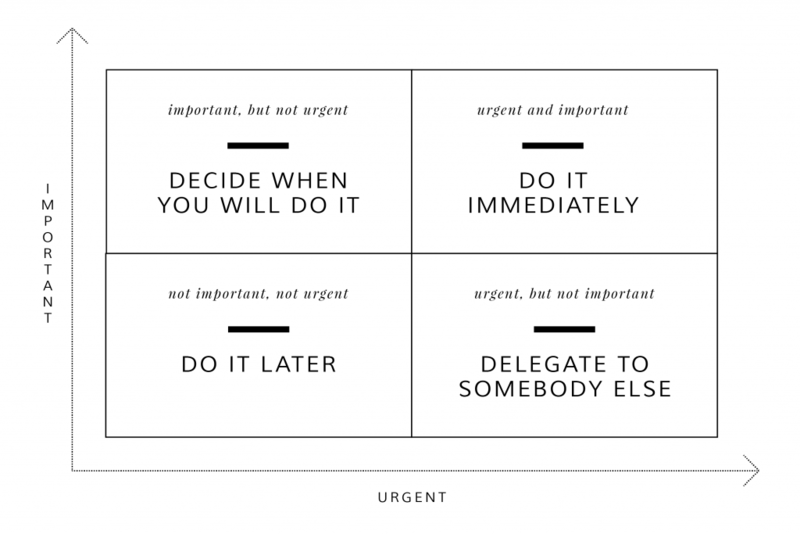 The Eisenhower Matrix is essentially a time management and issue-prioritization tool that can be used to help decision makers identify between what is urgent and what is necessary when looking at multiple perspectives during strategy and policy making. The Eisenhower Matrix is designed to make work more efficient by prioritizing strategically relevant goals and objectives based on importance and urgency. It allows an organization to review multiple issues simultaneously so that the realistic resource limitations (i.e., what a company can and can’t afford) of the organization can be listed and a proper hierarchy of objectives can be implemented. 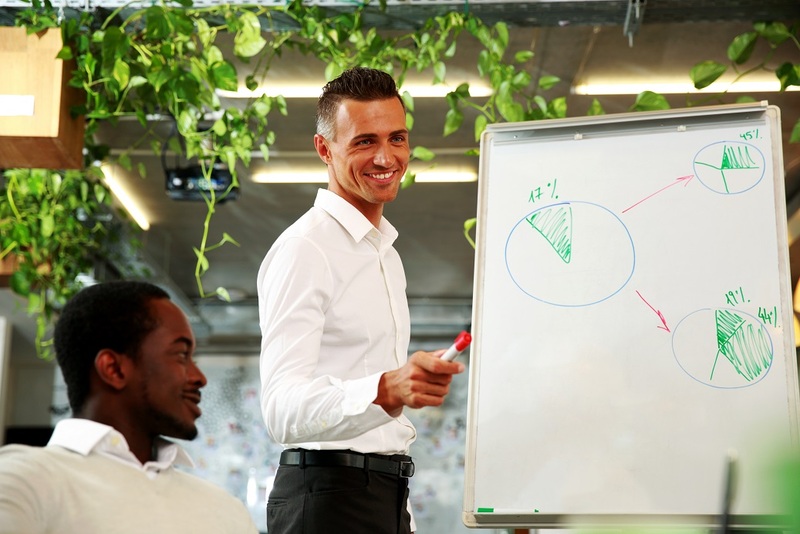 Once a proper hierarchy of objectives is defined, an organization can more effectively and effectively reach its overall organizational strategy. Megan Miller is an Associate Consultant at Aepiphanni, specializing in the fields of marketing, organizational development, and entrepreneurial strategy development. She has an MBA and a Doctorate of Business with a focus on International Business from Liberty University. Megan is currently active in article publications focusing on knowledge management in small and medium-sized businesses. She researches the topics of entrepreneurial cognition, international entrepreneurship, environmental scanning and knowledge acquisition processes of business leaders.